You are currently browsing the tag archive for the ‘National Hurricane Center’ tag. Tropical Storm Dolly ramped up from a depression overnight to a full-fledged tropical storm. 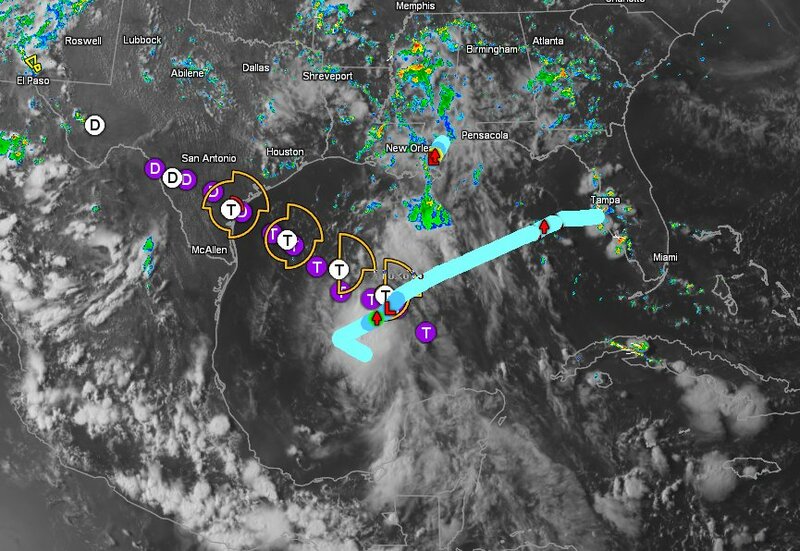 Located in the Bay of Campeche, Gulf of Mexico, Dolly is heading northwestward to impact Mexico just south of Brownsville, Texas. MAINLY OVER THE WATER TO THE NORTHEAST OF THE CENTER. THE ESTIMATED MINIMUM CENTRAL PRESSURE IS 1004 MB…29.65 INCHES. WARNING AREA FOR THE NEXT FEW HOURS. Tropical Depression One became the Atlantic’s first named storm this afternoon – Tropical Storm Arthur. UPDATE 2014-07-03: Now upgraded to a category 1 hurricane. UPDATE 2014-07-06: Once Arthur reached the maritimes, its strength as a hurricane diminished and will now slowly dissipate over the north Atlantic and into the Davis Strait. For more recent advisories, if available, CLICK HERE. For more recent discussions, if available, CLICK HERE. WEATHER.GC.CA/HURRICANE/INDEX_E.HTML …IN ALL LOWER CASE. ARTHUR WAS LOCATED NEAR LATITUDE 45.0 NORTH…LONGITUDE 65.5 WEST. OVER THE GULF OF ST. LAWRENCE TONIGHT. REPORTED AT YARMOUNTH NOVA SCOTIA. THE ESTIMATED MINIMUM CENTRAL PRESSURE IS 983 MB…29.03 INCHES. ARE EXPECTED OVER PORTIONS OF EASTERN MAINE THROUGH THIS AFTERNOON. BRUNSWICK…WITH ISOLATED MAXIMUM AMOUNTS OF 6 INCHES POSSIBLE. now forecast to dissipate by the end of the forecast period. thereafter to be in better agreement with the latest track guidance. Tropical Storm Alvin in the eastern Pacific, east of Central America and well offshore, is this season’s first named storm. With a track to the northwest, little impact is expected. As of this morning windspeeds are approximately 50mph and are expected to strengthen to Category 1 hurricane strength over the next day or so. For more info about current hurricane activity follow Atlantic and eastern Pacific Hurricane Activity 2013. 2012-10-17: We have discontinued updates of tropical Storm Paul, now degraded to a tropical depression. 2012-10-16: Update: Hurricane Paul has slowed and weakened back to tropical storm intensity as it reached the coast. 2012-10-16: Hurricane Paul has dropped back in intensity to a category 2 hurricane, and is moving quickly toward Baja. Wind shear aloft is expected to reduce its intensity as it gets to Baja, but still remain as a hurricane. The expected track is a turn to the north, then northwest once it reaches the Baja coast. 2012-10-15: Update: Hurricane Paul, in the eastern Pacific, has intensified and reached major hurricane strength (category 3). Tracking modeling has placed the path of the hurricane further inland along the Baja coast. 2012-10-15: TS Paul in the eastern Pacific, west of Baja Califorina has reached hurricane strength (category 1) and continues to strengthen. It’s expected to begin to side-swipe Baja beginning Tues night, but storm surge will be felt well before then. Developing. GOES West satellite – AVN presentation, Hurricane Paul. Image is linked to loop. CALIFORNIA PENINSULA THIS AFTERNOON AND TONIGHT. DISSIPATE COMPLETELY THURSDAY OR THURSDAY NIGHT. POSSIBLE IN ASSOCIATION WITH PAUL. AND THE COAST OF SINALOA SHOULD SUBSIDE TONIGHT AND THURSDAY. SERVICE…UNDER AWIPS HEADER NFDHSFEPI AND WMO HEADER FZPN01 KWBC. SOUTHWEST OF THE CENTER…SO THE INITIAL INTENSITY IS SET AT 30 KT. HOURS AS IT IS ABSORBED INTO A TROUGH WEST OF SOUTHERN CALIFORNIA. NORTHWEST IS EXPECTED UNTIL THE LOW DISSIPATES. For additional satellite imagery, go to the Tropical Floaters page and select the specific storm (Gordon). SOMEWHERE WITHIN THE WARNING AREA…IN THIS CASE WITHIN 24 HOURS. PASSES NEAR OR OVER THE EASTERN AZORES. THE ESTIMATED MINIMUM CENTRAL PRESSURE IS 973 MB…28.73 INCHES. TO 6 INCHES OVER THE CENTRAL AND EASTERN AZORES. MOVE INTO EVEN STRONGER SHEAR…STEADY WEAKENING IS FORECAST. [Starting this hurricane season, EWR will post specific named storms as their own post, rather than be embedded in the general regional overview. Information and graphics will update as before, and contain the same information. 2012-06-26: A tropical depression in the Gulf of Mexico has been upgraded to Tropical Storm Debby. 2012-06-26: After deluging Florida for 3 days Debby is downgraded to a tropical depression as it makes its way into the Atlantic. GOES East AVN Image of Debby. Click on image for loop. ESTIMATED MINIMUM CENTRAL PRESSURE IS 998 MB…29.47 INCHES. RAIN BANDS…MAINLY OVER SOUTHERN FLORIDA. PROBABLY 30 KNOTS IN A FEW SQUALLS MAINLY OVER WATER. IN BETWEEN THE GFS AND ECMWF MODELS. Hurricane season is normally considered to be June 1 to November 30. The US National Hurricane center will pick up advisories at the onset of the 2013 season. Note – the 2012 season got an early start last year (and caught us a little flat-footed here at EWR), with two named storms early in both the western Atlantic and the eastern Pacific. We’ll see what 2013 brings…! Some changes in our monitoring- in previous years we’ve made good use of the graphical abilities of the GRE visiual modelling system to pruduce unique composite storm views, but we’ve discontinued the use of this software for the time-being due to cost issues relative to its value to us. We are looking at alternatives to provide more information easily for tropical storms and hurricanes. Continuing this hurricane season, EWR will post specific named storms with a threat of landfall as their own post on the EWR Blog (select “home” link), rather than be embedded in this general regional overview. Information and graphics will update as before, and contain much more information. Follow the named-storm links below as available. Update-2 2013-05-30: Tropical depression Barbara has become disorganized and is dissipating. Update 2013-05-30: Hurricane Barbara has collapsed over land and is now a tropical depression. However, the potential exists for it to reform as a cyclone over the Gulf of Mexico as it emerges from the land. 2013-05-29: Tropical Storm Barbara, in the eastern Pacific, became Hurricane Barbara today. Follow the link for more information. 2013-05-16: Tropical Storm Alvin in the eastern Pacific, east of Central America and well offshore, is this season’s first named storm. With a track to the northwest, there is little impact expected. As of this morning windspeeds are approximately 50mph and are expected to strengthen to Category 1 hurricane strength over the next day or so. The NOAA images below are updated directly from the NOAA sites. Each image links either to the source page or to a larger version of the image. The images above contains active information elements which can be accessed at the NHC site. Click on the image to go there or to the National Hurricane Center. For named storms and info EWR may have retained about them, see the Tropicals category link for storms from 2012 and earlier. For 2013, a specific category for Hurricanes has been added. “Based on the combined number, intensity, and duration of all tropical storms and hurricanes, NOAA classifies the season as above-normal. 2012 was an active year, but not exceptionally so as there were 10 busier years in the last three decades. 2012-10-28: Sandy is expected to continue to hover around the bottom end of the category one boundary over the next two days until it reaches landfall, projected to be over the Delmarva Peninsula, just north of Chesapeake. The hurricane strength wind radius remains very large, +/-165km from the storm cemtre. Potential still exists for transformation to a tropical cyclone, but the forecast expectation is for transformation to an extra-tropical cyclone within 48 hours, with rapid weakening over landfall. This weakening was beginning to be evident in some of the longer range forecast models last night. It remains important to note, however, while overall intensity may fall, the extremely large area of the storm, coupled with a strong low pressure trough over the US northwest and south central and eastern Canada, and a blocking high over extreme eastern Canada may increase the storm duration over the lower Great Lakes Basin and St. Lawrence Valley. This may result in greater than average rainfall over the duration of the storm. The pressure gradient of Sandy remains deep, 960 mb (28.35 in), which will hold wind speeds high until significant pressure infill occurs. 2012-10-27: As expected Sandy has decreased enough in intensity to drop out of hurricane status, but as it does so it has also expanded in size. While it travels northward, it is expected to interact with deep low pressure trough and re-intensify within 48 hours and its centre to be inland within 72 hours as a extra-tropical cyclone. Its landfall entry point is suggested to be slightly farther south, but no enough to mitigate its overall effect as projected. 2012-10-26: Hurricane Sandy is now a category one hurricane. Anticipated weakening at this point is occuring, but is expected to remain at the marginal category 1 level for the next couple of days. Pressure gradient and wind field have broadened. Some re-intensification is expected. 2012-10-25: Hurricane Sandy is now a category 2 storm. Please the named link for more details on Sandy. 2012-10-24: We got caught napping on Hurricane Sandy. Sandy is presently a category one hurricane. Interests along the Atlantic Seaboard need to keep a close watch on this one. Guidance doesn’t rule out venturing into the Great Lakes basin a la Hazel in ’54. 2012-10-15: TS Paul in the eastern Pacific, west of Baja Califorina, has reached hurricane strength. It’s expected to begin to side-swipe Baja beginning Tues night, but storm surge will be felt well before then. Developing. 2012-10-14: Storm tracking for Bermuda is now setting Tropical Storm Rafael east of Bermuda. Storm surge should still be a factor but rain impact likely will be lessened if the storm stays true to course. High seas and heavy rains are still forecast for the Virgin Islands, Culebra and Vieques. Rafael is projected by the NHC to reach hurricane status tomorrow. 2012-10-27: As expected Sandy has decreased enough in intensity to drop out of hurricane status, but as it does so it has also expanded in size. While it travels northward, it is expected to interact with deep low pressure trough and re-intensify within 48 hours and its centre to be inland within 72 hours as a extra-tropical cyclone. Its landfall entry point is suggested to be slightly farther south, but not enough to mitigate its overall effect as projected. 2012-10-26 UPDATE: – Hurricane Sandy is a category 1 hurricane. Anticipated weakening at this point is expected to occur over the next 36 hours, lowering the storm to a tropical storm intensity. Re-intensification and transition to an extra-tropical cyclone could occur in 3-4 days. Pressure gradient and wind field have broadened. Model ensemble integration points to landfall of the storm mass just north of Chesapeake. Inland tracking remains diffuse, but current expectations are that the Great Lakes basin will still experience strong winds and heavy rain. 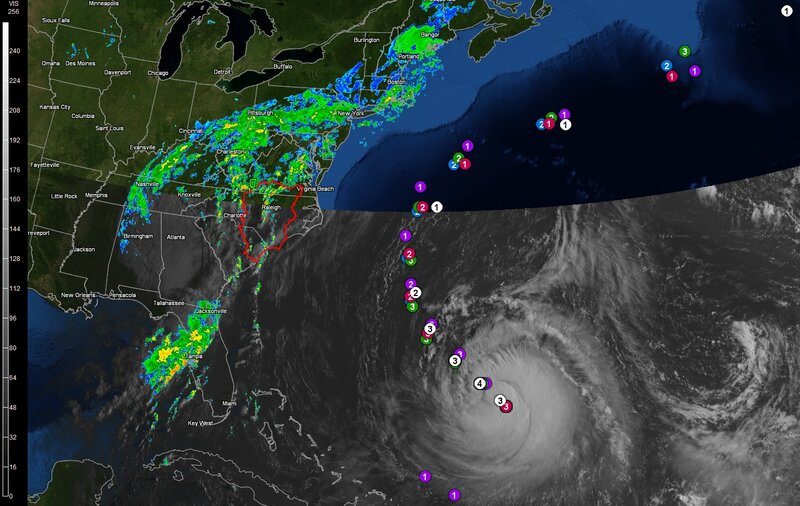 2012-10-25 – Hurricane Sandy is now a category 2 hurricane. Guidance estimates are placing a bit further offshore than originally thought, although the upper Bahamas will take a direct hit and the lower islands will have at least strong tropical storm effect. Guidance models still place the Chesapeake area of the eastern seaboard at risk of landfall and there is considerable uncertainty about its inland track thereafter. 2012-10-24 – We got caught napping on Hurricane Sandy. Sandy is presently a category one hurricane. Interests along the Atlantic Seaboard need to keep a close watch on this one. Guidance doesn’t rule out venturing into the Great Lakes basin a la Hazel in ’54. Currently forming up just north of Jamaica, its projected path runs across Cuba and straight up the Bahamas chain. 2012-09-07: Tropical Storm(Hurricane) Leslie continues its northward path toward Bermuda and possibly the Canadian Maritimes. 2012-08-28: Isaac has attained weak Category 1 status with winds between 74-80mph. Its expected to decrease in strength upon reaching landfall. At 5:30 pm EDT, the eye is approx 87 mi from New Orleans and west of the city. Apparent track puts the eye passing between Houma and New Orleans, on track for Baton Rouge. 2012-08-25: Tropical Storm Joyce is disorganizing and collapsing – no further advisories to be issued. Tropical Storm Isaac continues its path northwesterly and is expected to strengthen to a category 1 hurricane once it moves into open water beyond Cuba. Sustained winds are now approximately 60mph; cat 1 hurricane rating begins at 74 mph sustained winds. 2012-08-24: Tropical Storm Joyce fails to maintain organization and is expected to dissipate in a couple of days. Tropical Storm Isaac remains loosely organized, but still a strong storm. Path prediction continues to be uncertain due to its weak organization. 2012-08-23: Tropical Storm Joyce firms up and gets on the westward train toward the Carribean, or not. Current track puts it up Bermuda way, but it also appears to be losing organization. 2012-08-21: Tropical Depression #9 has advanced to the junior leagues and is now Tropical Storm Isaac. Path projection puts it over the northern Windward and Leeward Islands by Wednesday afternoon. 2012-08-18: Tropical Storm Helene dissipates to a diffuse post-tropical depression. Hurricane Gordon, continues to head toward the Azores and Canary Islands. Gordon remains well organised but appears to have weakened a little. Gordon is currently a category 2 storm. 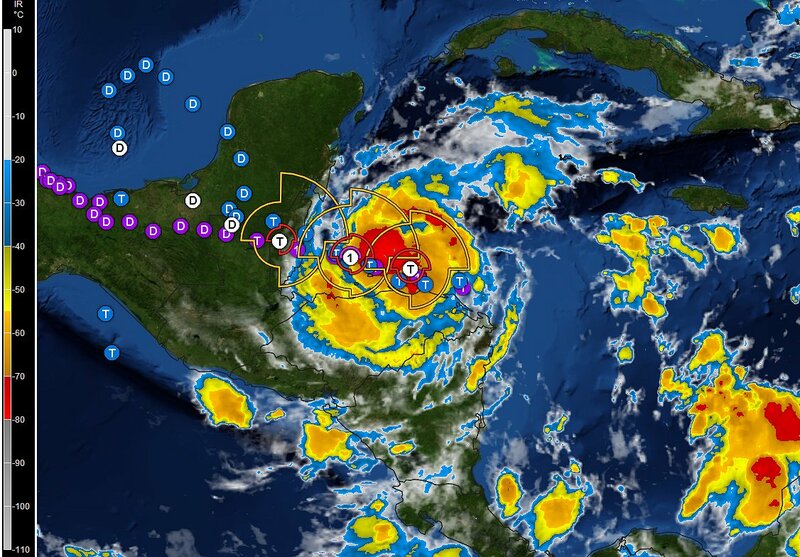 2012-08-18: Tropical Storm Helene bears down again on the Mexican coast. Concurrently, TS Gordon, out in the Atlantic, is now Hurricane Gordon, heading northeastward toward the Azores and Canary Islands. 2012-08-10: Tropical Storm Ernesto dissipates. Tropical Storm Gilma in the eastern Pacific is moving westward, dissipating and is not a threat to land. Tropical Depression Seven bears watching. Tropical storm warnings are being posted for the lesser Antilles. 2012-06-26: After deluging large parts of Florida for 3 days, Tropical Storm Debby downgrades to a tropical depression on its way into the Atlantic..
2012-06-23: A tropical depression in the Gulf of Mexico has been upgraded to Tropical Storm Debby. 2011-10-01 Ophelia (west) and Phillipe (east) Official track in white. Purple -GFDL model. Blue-HWRF model. Green-GFS model. Red-TVCN model. Numbers in dots are estimated category strength. Storm images are GOES infared view. DURING THE NEXT 12 TO 18 HOURS FOLLOWED BY GRADUAL WEAKENING. OF 96 MPH…155 KM/H…WITH A PEAK GUST TO 116 MPH…187 KM/H. REPORTS FROM NOAA BUOY 41049 LOCATED IN THE CENTER OF THE EYE. 41049 RECENTLY REPORTED WAVE HEIGHTS OF MORE THAN 40 FEET. SLIGHTLY BASED ON WINDS OBTAINED FROM A 01/0106Z ASCAT OVERPASS. AHEAD OF A DEEP-LAYER TROUGH CURRENTLY MOVING EASTWARD OFF THE U.S. TIGHTLY PACKED NHC MODEL GUIDANCE SUITE. THERE IS NO SIGNIFICANT CHANGE TO THE PREVIOUS INTENSITY FORECAST. TOWARD THE WEST IS EXPECTED DURING THE NEXT COUPLE OF DAYS. ESTIMATED MINIMUM CENTRAL PRESSURE IS 1004 MB…29.65 INCHES. THE TROPICAL STORM IS STILL MOVING NORTHWESTWARD AT ABOUT 8 KT. MIDWAY BETWEEN THE PREVIOUS FORECAST AND THE ECMWF MODEL. LOW END OF THE GUIDANCE NEAR THE LGEM. Update 2011-09-08: Hurricane Katia continues to wobble its way up-ocean between Bermuda and the eastern seaboard and remains a strong cyclone. Forecast period expectations bring it into the vicinity of the northern United Kingdom. Tropical depression 14 is now Tropical Storm Maria, expected to graze the northern Leewards. Maria remains somewhat disorganized and is not expected to strengthen much over the next 72 hours. Tropical Storm Nate has emerged from depression in the Bay of Campeche and appears to be becoming better organized, but is static and difficult to predict for track and intensity at the moment. Discussions for Katia, Maria and Nate follow below. Update 2011-09-07: Hurricane Katia has diminished to a category 1 storm as it moves up the Atlantic between Bermuda and the eastern seaboard. Conditions favour Katia to become a strong post-tropical cyclone as it moves north and east into the Atlantic. Tropical Depression 14, currently off the coast of Africa is near tropical storm strength but is not organizing as expected and has been held off being named for the moment. Present forecasts for TD14 do not indicate strengthening over the next 72 hours. Hurricane Katia 2011-09-06 Saffir-Simpson Category 3 (GOES EAST visible). Image (c)EWR. Update 2011-09-05: Tropical Depression Lee is slowly becoming a remnant storm, after dropping lots of water on the gulf states. Hurricane Katia continues to wobble its way northwestward, alternately strengthening and weakening on its route. 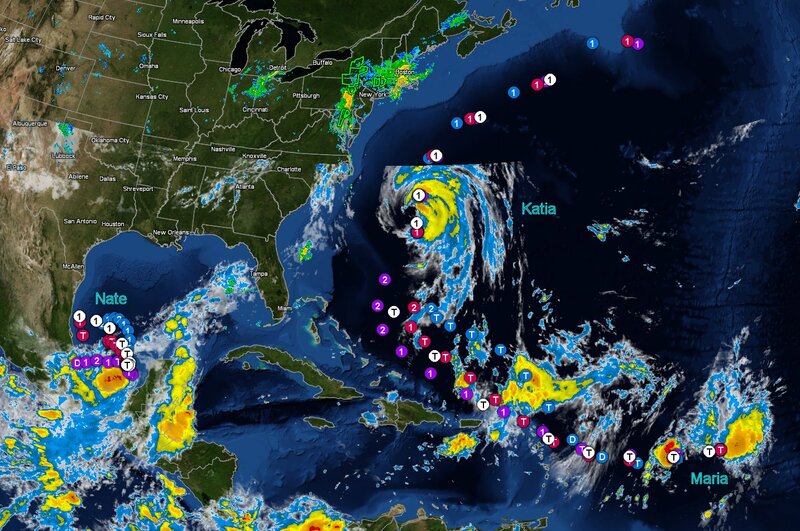 Update 2011-08-30: Tropical Storm Katia, forming in the Eastern Atlantic, is catching attention in the US for its potential to become the next major hurricane. Current tracks aand models have it swinging into the Atlantic between Florida and Bermuda. Model category forecasts are also quite divergent at the moment, ranging from cat 2 to cat 5. Update 2011-09-03: Hurricane Katia continues to have difficulty holding together as a hurricane and is presently a very weak category 1 storm. Tropical Storm Lee will move ashore later today and track to the northeast. Its is expected to become extra-tropical upon impact with a cold front moving down out of the northwest. Update 2011-08-29: Tropical Storm Jose races northward and is expected to move into cooler waters, become post-tropical in 12 hours, dissipate in 24. Update 2011-08-28: Tropical Storm Jose, forms off south of Bermuda, heads toward Bermuda. Update 2011-08-28: Since arriving over land Irene, has dropped to tropical storm status, but still remains a large and powerful storm, and is expected to remain largely so as it moves NNE across New England, the Eastern Townships of Quebec, New Brunswick, Labrador and finally out to sea again. 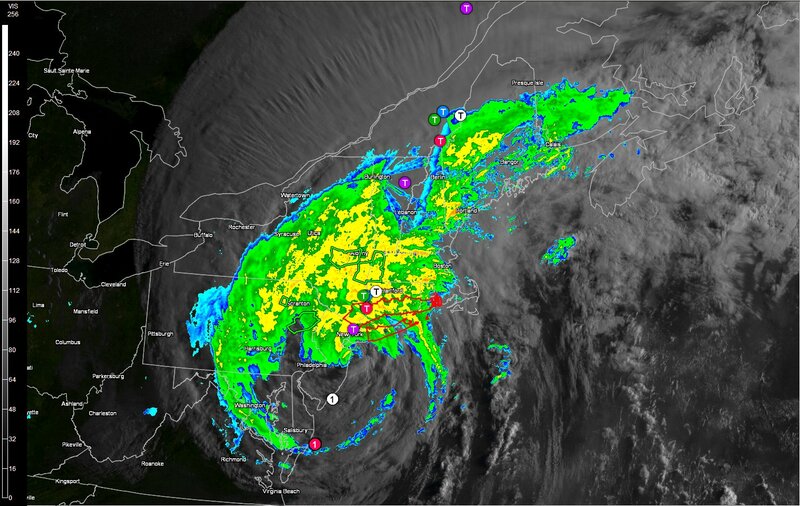 Update 2011-08-27: The eye of Hurricane Irene moved inland today. Impact with land and the cooler extra-tropical waters has reduced Irene’s intensity to category 1, but Irene remains a very large and locally dangerous storm. Model track guidance remains mostly consistent with the path following up the US seaboard, across New England and over the Eastern Townships and New Brunswick. By this point, Irene is expected to be a weak category 1 or tropical storm. In either case, Irene will be capable of large amounts of rain and strong winds. Update 2011-08-25: Hurricane Irene is now a category 3 storm on the Saffir-Simpson scale (see above). Further strengthening is expected. Irene is considered a large tropical cyclone, with hurricane winds out to 80 miles and tropical storm force winds out to 290 miles. Update 2011-08-22: TS Irene has now attained hurricane status. There is an expectation that Iren may become a major hurricane (category 3 or greater). Update 2011-08-21:. Tropical Storm Irene continues to develop and represents the first major storm of the season with true hurricane potential. Irene is the 9th named storm so far. Current model track estimates suggest hurricane strength along much of the Leewards and warning have been raised. The NHC offical track still puts it at a tropical storm reaching Category 1 by the time it gets to Florida. Update 2011-08-01: Tropical Storm Eugene evolves offshore of Mexico, and is expected to become a hurricane over the next 36 hours. Its current track leads it northwesterly well offshore. Update July 30, 2011: Tropical Storm Don has rapidly dissipated to a remnant low upon reaching land. Update July 28, 2011: Tropical Storm Don is currently in the centre of the Gulf of Mexico and project to remain on course for the Texas gulf coast. Its expected to strengthen to no more than a weak hurricane, if at all. Update July 23, 2011: Dora now downgraded to tropical storm over the colder waters off Baja California. Update July 22, 2011: Hurricane Dora in the Eastern Pacifc gains strength to Category 4 and is expected to begin to swipe coastal Baja California today. It remains far enough offshore to mostly be a threat at surf levels. Dora is expected to begin to decline on Friday as it enters over cooler water in its northwesterly journey. Update 2010-11-06 2 : Tomas has regained category one hurricane strength as it moves into the open Atlantic, but weakening over the next 48 hours is still expected to occur. Update 2010-11-06: Tomas has diminished to tropical storm status as it moves away from Hispaniola and over the Turks and Caicos. Forecasts over the next 36-48 hours call for Tomas to begin to diminish fairly quickly from 48 hours forward. Track patterns however, favour continued heavy rain for the next 36 hours over portions of Haiti and the Dominican Republic. Light blue traces over the centre are reconnaisance aircraft flight paths. Update 2010-11-05: Hurricane Tomas has regained category one hurricane strength as it moves over the warm waters at the western edge of Haiti. Furtthern strengthening may occur over the next 24 hours before a decline in strength occurs. While winds are strong, the major threat from Haiti is very heavy rains. The cyclone has gained some orgaization this morning, and moiture content is high as evidenced from the 5AM GOES look this morning (below). Update 2010-11-04: Tropical Storm Tomas is expected to strengthen to category one hurricane strength over the next 24 hours. The hurricane centre is expected to pass over western Haiti tonight. The major threat is expected to be heavy rains. Update 2010-11-03: Tropical Storm Tomas has diminished to a tropical depression as of this morning. The extent of the decline is not yet understood, and forecast models still call for it to strengthen and turn to the north by the weekend. Heavy rains are still forecast for Hispaniola and Jamaica. Update 2010-11-02: Hurricane Tomas continues its march westward as a leisurely tropical storm, but also continues to show increased organization. In the next 48 hours, conditions will likely favour strengthening and a turn to the north. Track models continue to put Tomas over Haiti by the weekend as a major hurricane. More details below. Update 2010-11-01: Hurricane Tomas, currently downgraded to tropical storm status continues its westerly move. Strong shear has kept the low pressure centre decoupled from the rain core. This is not expected to change for 24-48 hours, at which time, shear is expected to weaken and Tomas is expected to turn toward the north and strengthen. Update 2010-10-31: Hurricane Tomas, now category two, continues to move westerly away from the Windward Islands. As the storm moves westerly its expected to strengthen to a major hurricane (SS category 3) by the tiime it moves south of Hispaniola, where it is then expected to turn northward from its westerly track. Update 2010-10-30: Hurricane Shary is beginning to wane as it moves northward. Rapidly building Hurricane Tomas, category one at present, threatens the Windward Islands, especially St. Lucia. As the storm moves wesrterly its expected to strengthen to a major hurricane (SS category 3) by the tiime it moves south of Hispaniola, where it is then expected to turn northward from its westerly track.Update 2010-10-24:: Tropical Storm Richard is expected to attain category one hurricane status for a brief period later this morning as it moves north-westerly out of the Gulf of Honduras and over Belize, Guatelmala and southern Mexico. Once over land, the storm is expected to diminish down to tropical depression levels, but is also expected to strengthen again some when it moves out over the Gulf of Campeche by mid-week. IR GOES view of Tropical Storm Richard, with National Hurricane Center path projection overlay. Image (c) EWR 2010 & Gibson Ridge. Update 2010-10-21:: Tropical Depression 19 is poised to become Tropical Storm Richard later today, dropping large amounts of rain over the central western Carribbean. Update 2010-10-13:: Hurricane Paula has weakened to category 1 and is expected to weaken further shortly. Update 2 2010-10-12:: Hurricane Paula has intensified to category 2 and is expected to intensify slightly more tonight. Update 2010-10-12: Transitioning quickly from a tropical depression, Paula was barely a tropical storm before intensifying to a category 1 hurricane. Confined mostly to the northwest Carribean Sea, Paula will likely intensify slightly before beginning to weaken. Belize, Yucatan Peninsula and western Cuba mostly affected. Update 2010-10-06: Sub-tropical Storm Otto has emerged from a sub-tropical depression and is expected to become tropical overnight. Intensification to hurricane status is possible by Thursday night. The GOES Atlantic floater loop images below show an extremely well defined cyclonic circulation. Update 2010-09-30: Considerable discussion amongst weatherfolks and tropical storm watchers as to whether this current active storm system is a Nicole remnant or not. Some believe the NWS was way premature in declaring Nicole dissipated. My own view is that this system hitting the US eastern seaboard starting yesterday and for the next 24 hours was not part of Nicole. The low pressure centre generating this was clearly evident while Nicole was still south of Cuba two days ago. Cyclonic circulation of Nicole was evident on radar over Cuba while this storm was sweeping into the east coast as a extra-tropical wave. Two distinct meteo events. What does appear to have happened is that Nicole did lose its tropical characteristic but reformed as a strong extra-tropical system and has been absorbed into the baroclinic low moving up the seaboard. Click on the image below to see the remnants of Nicole and the storm flow into the coast line. The false colour imaging is a Funk model colour scheme (“funktop”), measuring intensity of precipitation. Cyclonic activity is clearly gone; however, there remains considerable moist low pressure upwelling over the Carribean south of Cuba feeding the northward flow. Indications are that the heavy rain pattern over the eastern seaboard will persist for several days. Update 2 2010-09-29: Bizarre series of prognostications… NHC categorizes tropical depression 16 as Tropical Storm Nicole this morning, only to declare it dissipated this afternoon? Beyond Nicole, the dominant weathermaker is a large non-tropical low situated north of Nicole and hugging the eastern seaboard. This system is expected to drop copious amounts of rain from Florida to New York over the next 24-36 hours. Update 2010-09-29:Tropical depression 16 became Tropical Storm Nicole this morning. The storm centre is expected to skirt Florida as it moves to the northeast. Its also not expected to strength siginificantly as it merges later with an extra-tropical low further north. EWR is monitoring its passage while in range of Floriada NWS radar (see below). Update 2010-09-25: Lisa attained hurricane status over the last 24 hours but now shows evidence of weakening and increasing disorganization as it tracks northward over cooler water and into drier air. TS Matthew will continue to drop heavy rain as it moves across into Central America. Update 2010-09-24: Lisa has regained some strength as expected and is back to tropical storm status. Tropical Storm Matthew has evolved from a depression off the coast of central America and has the potential to develop to hurricane status as it moves toward the Belize coast. Heavy rains are expected from this storm. Update 2010-09-23: Both Lisa and Georgette are tropical depressions now. Georgette will continue to dissipate, whereas Lisa may fluctuate between a TD and a tropical storm over the next 48 hours. Update 2010-09-22: Igor has moved beyond hurricane status to extra-tropical storm status and is now dissipating out ove the Labrador Sea. Pace of movement picked up as it made a close approach to Newfoundland, where it caused heavy infrastructure damage in some areas due to flooding and washouts. Tropical Storm Lisa continues to develop in the eastern tropical Atlantic, and Georgette, while currently a tropical depression, is expected to briefly regain tropical storm status over the Gulf of California, then dissipate as it moves up over mainland Mexico. Update 2010-09-21: Hurricane Igor continues it march up the Atlantic. Igor makes a close approach to Newfoundland’s Avalon Peninsula as it passes over the Grand Banks, bringing expected high winds and heavy rain to southern NFLD. Still a category 1 hurricane, Igor is not yet prepared to give up its tropical cyclone status, though by later tonight, it is expected to become an intense extra-tropical cyclone. Igor will be a major influence in the North Atlantic for several days yet. Tropical Storm Julia dissipated overnight. Former tropical depression 92L off the horn of Africa, has grown to Tropical Storm Lisa, the twelfth Atlantic tropical storm of the 2010 season. On the Eastern Pacific side, Tropical Storm Georgette has emerged from a depression centered below Baja California. TS Georgette is projected to move up the Baja, over Cabo. 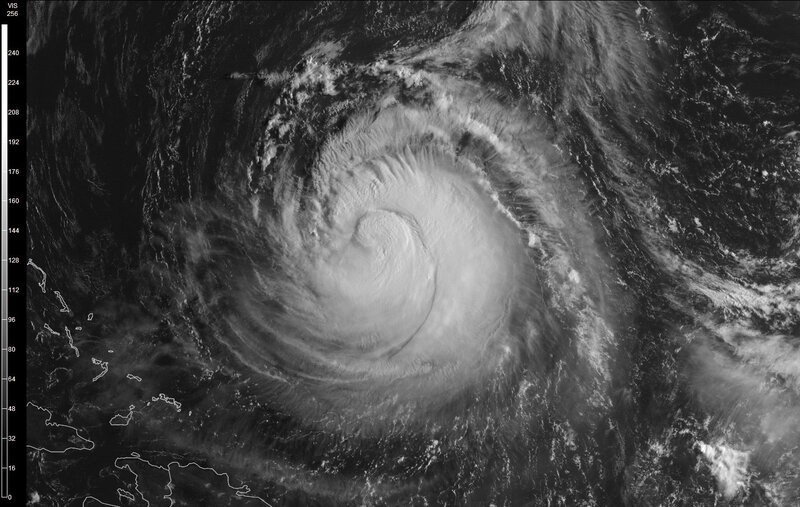 Update 2010-09-20: Hurricane Igor has now moved past Bermuda and the principal rain bands are now clear of the island. Winds will remain at tropical storm intensity buty should begin to diminish there later in the day. Igor has picked up considerable speed as it moves to the northeast, and will make s close pass to Newfoundland’s Avalon Peninsula today and tomorrow. Igor is still ranked as a category 1 storm but is expected to diminish to tropical storm status within 48 hours. 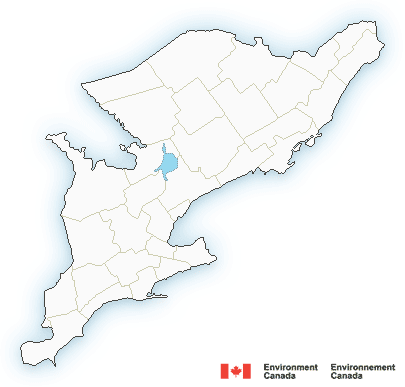 Canada has issued a tropical storm watch for the Avalon region. Julia continues to hold its strength as a tropical storm as it shadows Igor across the Atlantic. Update 2010-09-19: Hurricane Igor, currently at category 1, has weakened some and is expected to continue to weaken as it moves further north into cooler water. Bermuda is expected to take a direct hit from Igor as a category 1 storm. The large size of Igor means that Bermuda will feel low hurricane and tropical storm force winds for a considerable period. As a post-tropical cyclone, Igor is expected to remain a large and powerful storm. TS Julia is holding steady, but presents no threat to land. Other Bermudan met products can be accessed here. Click the login button to login as Guest, and select items from the bar at top. Update 2010-09-18: Karl dissipates over the mountains of Mexico, Julia begins the dissipation process and is now a tropical storm. Igor remains a very large category 2 hurricane, and is expected to strengthen to category 3 through today as it makes for pretty much a direct hit on Bermuda early Monday morning as a category 2 storm with 90 knot sustained winds. BWS is projecting Igor to remain a category 1 hurricane as it swipes past south of the Canadian Maritimes, diminishing to an intense Atlantic cyclone south of Greenland.Update 2010-09-17: Karl makes the majors and becomes a major hurricane at category 3 overnight. Landfall is expected later today ad further strengthening is anticipated prior to landfall. This will be a major storm for Mexico, due to high winds and heavy rain. Funk satellite estimates have consistently shown heavy precipitation from Karl, even as a tropical storm. Igor is holding its strength as a category 3 hurricane, and is expected to have a significant impact on Bermuda early Monday morning as a category 2 storm. Julia strengthened a bit overnight, but is expected to further weaken over the next 24 hours. Update 3 2010-09-16: Karl has been upgraded to a category 2 hurricane. Update 2 2010-09-16: Karl has been upgraded to a category 1 hurricane (>65kt winds) as it moved over into the Gulf of Mexico. the NHC advises there is potential for Karl to become a major hurricane (category 3 or greater) by Friday night. This upgrade is earlier than was previously forecast. Karl’s track has been modified to be slightly south of previous forecast. Igor remains strong, and Julia continues to weaken as it moves into cooler northerly waters. Update 2010-09-16:Igor continues relentlessly and has strengthed some, and has apparently completed an eyewall replacement cycle with indications of deep convection indicating intensification. Track estimates still place it in the vicinity of Bermuda, with a possible trend to a more easterly track. Julia continues to weaken as it moves quickly northward over less warmer water. TS Karl is moving out into the Bay of Campeche and is expected to slow and intensify to a cat 1 hurricane by Friday night. Discussions for each storm follow below. Update 2010-09-15: The surprise this morning is Hurricane Julia, having made an unexpected leap in intensity to a category 4 hurricane. This makes Igor and Julia only the second pair of coincident cat 4 Atlantic hurricanes in the last 100 years, Ryan Maue reports this morning in a WUWT article. Update 2 2010-09-14: The depression hanging over the Yucatan basin has been upgraded to Tropical Storm Karl today. Depending on what Karl does over the Yucatan, there is concern that once Karl reaches the Gulf of Mexico strengthening to hurricane status is possible. Over Yucatan, Karl is expected to remain a tropical storm. Details added to the storm discussions below following Julia. Update 2010-09-14: I’m a little slow out of the gate on Igor, mostly due to being busy with other things and the low impact status of Igor initially. 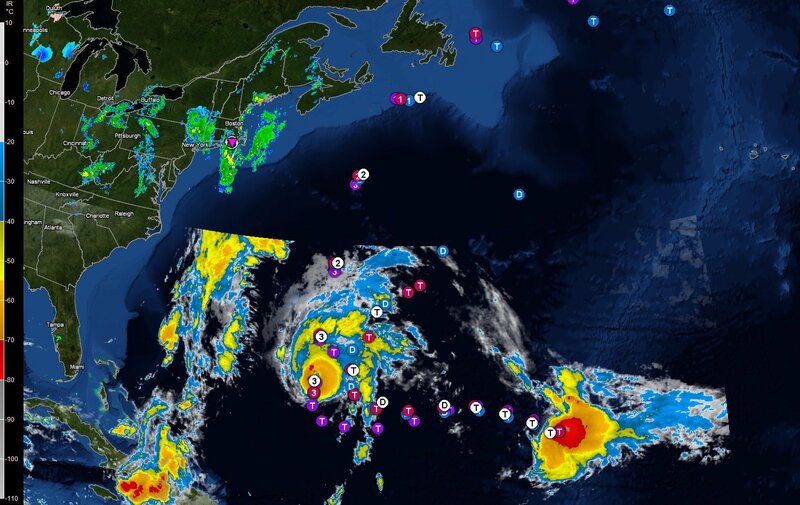 Currently there are two hurricanes making their way across the Atlantic, Hurricane Igor, a strong category 4 storm, and and newly elevated Hurricane Julia. Julia is not expected at the present time to become much stronger than it currently is, and may wane in the coming days. See discussions below for each storm. Igor on the other hand is expected to hold strength with minor variance for the next several days. Current track projections create a significant risk for Bermuda, although the National Hurricane Center emphasizes the 5-day-out track forecast has large uncertainties, and Igor could easily place itself several hundred miles from Bermuda. At 32.2N 65W, Bermuda lies just west and slightly south of purple”HWF” legend on the model tracks map. Update 2010-09-05 Earl Done and gone. fair bit of minor wind damage to Nova Scotia, but rainfall generally light (comparatively). Update 2010-09-04 Earl moves over the Maritimes as a weak cat 1 hurricane (Canadian status) or a tropical storm ( US NHC status). Hurricane force winds are expected to be maintained at times in the early part of the Maritimes transit. Fiona is downgraded to a tropical depression and has begun the process of disssipation. Update 2010-09-03 Earl continues its projected path just off the eastern seaboard past Hatteras. Slowly losing organization, it remains a large and dangerous category 2 hurricane. Tropical Storm Fiona is expected to bring storm conditions to Bermuda over the next 36 hours. Update 2010-09-02 Earl drops to a category 2 as it bumps into Hatteras. Update 2010-09-01 Earl drops slightly to category 3, presently aiming for a Carolinas/Outer Banks brush, then skidding up the coast to Maine and the Maritimes; Fiona remains a tropical storm , but strengthens a bit. Update 2010-08-31 Danielle becomes post-tropical and is expected to slowly weaken; Earl moves northwesterly away from Puerto Rico and the Virgins; Fiona remains a weak tropical storm. Update 2 2010-08-30 Danielle weakens to a tropical storm as it moves into cold northern Atlantic waters; Hurricane Earl increases strength to cat 4 and threatens the northern Leeward Islands and Puerto Rico. The tropical depression following the path of Earl grows to a named storm, Tropical Storm Fiona. Radar tracking up for Earl at EWR and the hurricane activity thread below. Update 2010-08-30:Hurricane Danielle is weakening as it moves north in the cold north Atlantic. Hurricane Earl continues to gain strength as it moves into the vicinity of the northern Leewards and towards the Virgin Islands. Update 2010-08-27:Hurricane Danielle has now reached category 4 and is expected to strengthen still further. 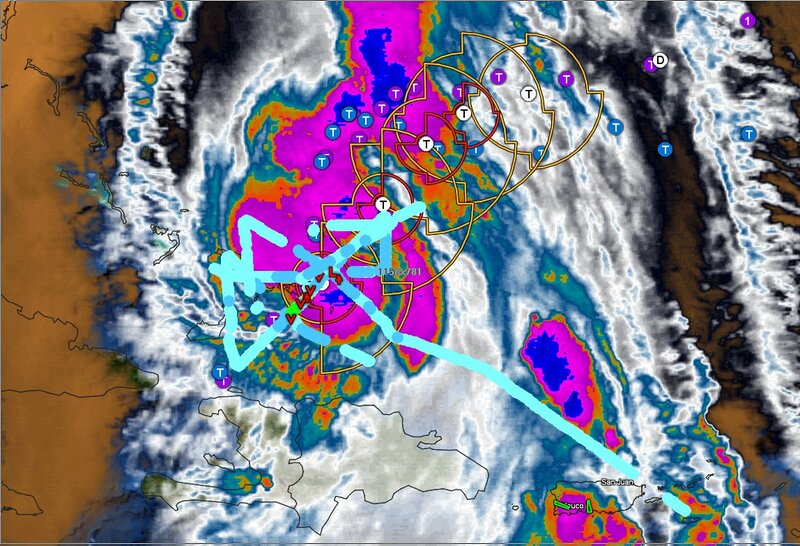 Current path predictions place it moving northwards well east of Bermuda. TS Earl is expected to reach hurricane status by Saturday night. Hurricane Frank is expected to begin to diminish as it moves into cooler waters on its northward recurve. Details for Hurricane Danielle, Tropical Storm Earl and Hurricane Frank in the maps and discussions below. Update 2 2010-08-25: Tropical Storm Frank has upgrade to a category one hurricane. Its track continues to take it out to sea. Danielle has remained at a renewed cat 1 level, and its future track and intensity remains a subject of some conjecture. The depression off the horn of Africa has rotated its way into Tropical Storm Earl, a full week in advance of expectations. Earl is forecast to become a huricane within two days, and its projected track lies north of the Leeward islands. Update 2010-08-25: Danielle now back to hurricane status. Update 2010-08-24: Hurricane Danielle continues to strengthen (sustained winds of 100mph/85knots, central pressure 973 mb, 20 mph forward motion) and is now a category 2. Its current position keeps it far out to sea, and its present westerly track is forecast to move northwestward well east of Bermuda. TS Frank continues to hold a steady course along the coast of Mexico, but is now not expected to strengthen, and tropical storm warnings may be dropped later today. Update 2010-08-23:Tropical Storm Danielle has now upgraded to Hurricane Danielle, the second named Atlantic hurricane this season. This intensification to category 1 comes a day earlier than was expected previously, and the storm is expected to intensify further over the next 48 hours, and become a major hurricane by Wednesday. Tropical Storm Frank, however, has weakened a little, but expectations are that it will intensify again, attaining hurricane status by Wednesday. Discussions below, and from the linked images. Further east, off the horn of Africa, another tropical low is shaping up to become a depression. This could be TS/H Earl if it gets a head of steam up in what is usually thought of as the Atlantic hurricane incubator. Update 2010-08-22: Tropical Storm Danielle has emerged from a depression off the Cape Verde islands to become the 4th named tropical storm in the Atlantic this season. Early predictions have it possibly achieving hurricane status by Tuesday, although this is not seen as certain. On the Pacific side, Tropical Storm Frank is slowly moving to swipe the Acapulco area of Mexico through to Tuesday. Frank is expected to increase to hurricane strength by late Monday. Update – 2 2010-08-09: Estelle backtracked and began to weaken, currently demoted to a tropical depression. Update – 2 2010-08-08: TS Colin gave it up at 5PM today and has been declared dissipated as a tropical storm. Update 2010-08-08: Tropical Storm Estelle has made her appearance in the Eastern Pacific just south of Baja California. Estelle is expected to burn out by Monday as it heads westward into the open Pacific. See Advisories in the Eastern Pacific section below. Update 2010-08-06: He’s ba-ack! TS Colin has re-emerged and is presently on course to hit Bermuda. Advisories below the graphics. Update – 2 2010-08-03: TS Colin is turning out to be a dud. The system is steadily weakening. The NHC has suspended advisories on TS Colin unless it regenerates. Update 2010-08-03: Tropical Storm Colin is named, currently positioned well eastward of the continental US and the Windward and Leeward Islands, and doesn’t pose a threat to land yet. Caution is advised for the northern Leewards. Update 2010-07-24: Bonnie fell back to a tropical depression over Florida and has remained so over the Gulf, but may strengthen back to tropical storm status as it moves toward the northern gulf coast. Update 2010-07-23: The tropical depression over the northern Carribean has been upgraded to Tropical Storm Bonnie. While not expected to achieve hurricane status, it is expected to move over the Deep Horizon site over the next couple of days. Update 2010-07-02: Alex now downgraded to tropical depression over land, and declared dissipated at 10:00PM CDT.